KUALA LUMPUR: Former prime minister Datuk Seri Najib Tun Razak was charged in the Sessions Court today with three counts of having received RM42 million in proceeds from unlawful activities into two of his accounts four years ago, with the money belonging to SRC International Sdn Bhd. Najib, 65, who looked calm, only said, “understood” after the three charges were read out to him one by one by a court interpreter before Judge Azura Alwi. However, no plea was recorded from the former prime minister. Najib, attired in a white shirt, blue lounge suit and wearing a tie, entered the dock at 9.10 am. He was not handcuffed. On the three charges, Najib was alleged to have received RM27 million, RM5 million and RM10 million, respectively, which were proceeds from unlawful activities, via Real Time Electronic Transfer of Funds and Securities (Rentas) into two AmIslamic Bank Berhad accounts of his bearing the numbers 2112022011880 and 2112022011906. He is alleged to have committed the offences at AmIslamic Bank Berhad, AmBank Group Building, No. 55, Jalan Raja Chulan, here, between Dec 26, 2014, and Feb 10, 2015. The prosecution was filed under Section 4(1)(b) of the Anti-Money Laundering, Anti-Terrorism Financing and Proceeds of Unlawful Activities Act (AMLATFPUAA) 2001 which provides for the penalty under Section 4(1) of the same act. 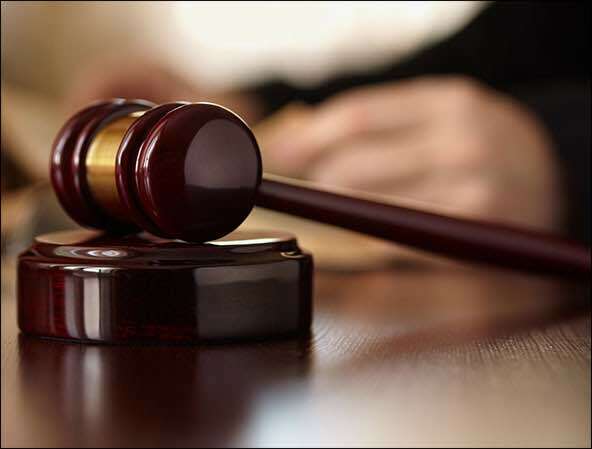 The section provides for, upon conviction, a maximum jail term of 15 years and a fine of up to five times the sum or value of the proceeds of the unlawful activities or instrumentalities of the offences at the time that the offences were committed or RM5 million, whichever is the higher. Earlier, the head of the Appellate and Trial Division in the Attorney-General’s Chambers, Datuk Mohamad Hanafiah Zakaria, applied for the case to be transferred to the High Court. Lawyer Tan Sri Muhammad Shafee Abdullah, who represented Najib, said it would be better if the prosecution applied for today’s case to be combined with the three charges of CBT and one of abuse of power with regard to RM42 million funds belonging to SRC International faced by his client earlier. Mohamad Hanafiah said the prosecution would make the application for the cases to be heard together but, for now, the application was for the transfer of this case to the High Court. The court allowed the prosecution application for the case to be transferred to the High Court. Besides Mohamad Hanafiah, the prosecution team comprised DPPs Manoj Kurup, Datuk Suhaimi Ibrahim, Datuk Umar Saifuddin Jaafar, Datuk Ishak Mohd Yusoff, Donald Joseph Franklin, Muhammad Saifuddin Hashim Musaimi, Budiman Lutfi Mohamed, Sulaiman Kho Kheng Fuei, Mohd Ashrof Adrin Kamarul and Muhammad Izzat Fauzan. Muhammad Shafee was assisted by counsel Harvinderjit Singh, Datuk Raj Krishnan, Farhan Read, Rahmat Hazlan and Muhammad Farhan Shafee. Najib’s children, Nooryana Najwa and Mohd Norashman, also attended court.